tboculosis	 10-14-2009 01-19-2010 Success 97 1/1 Received trading card back personalized and signed in black sharpie. policeradio556	 10-22-2013 11-02-2013 Failure 11 1/0 Sent 8x10... RTS UNABLE TO FORWARD... I may try another address but don't feel like wasting more postage at the moment. 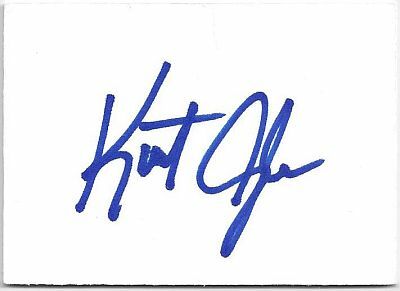 DownGoesFrazier	 06-20-2013 07-06-2013 Success 16 1/1 Signed 2002 Wrestlemania card. Thanks a bunch, Kurt!!! DawnOfTheFred	 08-06-2016 08-13-2016 Success 7 2/2 Sent 2 Fleer '02, handwritten LOR, and SASE. Came back signed, but smeared a little. handifan2010	 07-26-2016 08-04-2016 Success 9 2/1 signed an index card for me. Philly4Life	 07-25-2016 08-01-2016 Success 7 1/1 Sent US Championship toy belt, LOR and SASE. Got it back signed exactly where asked. Op12	 06-30-2016 07-11-2016 Success 11 1/1 Sent PWI magazine, returned with "Gold 96"
Pedroia15TheBest	 12-14-2015 12-23-2015 Success 9 2/2 2 DVD covers. Awesome success! 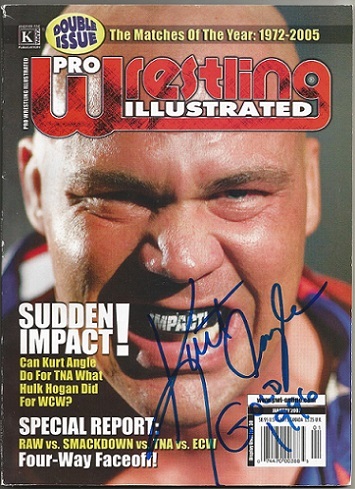 Goldenage	 07-20-2015 07-30-2015 Success 10 4/4 Signed all four although told him to keep 2 for others. thanks! bcommerce	 05-16-2015 06-01-2015 Success 16 3/3 Sent 3 Cards! Returned all 3 Signed! PhyteGuru	 10-15-2014 11-10-2014 Success 26 2/2 Signed both Index Cards as requested. He wrote "Gold 1996" on both of them. PhinsPhan77	 06-28-2014 07-08-2014 Success 10 2/2 Kurt signed and returned my TC and IC inscribed with "1996 Gold" as well as answering my question. Awesome success.